There are currently 86 medical schemes in South Africa. The Restricted medical schemes such as Malcor medical aid scheme now outnumber the amount of open medical aid schemes in operation. Medical aid is a contract between you and a medical aid fund. With a medical aid fund you ensure that when you need medical treatment that you will get it. Medical schemes have become increasing popular in South Africa due to rise cost of medical treatment. By paying a monthly contribution into the fund, it will be there to cover the costs of your medical treatment. There are two types of medical schemes available in South Africa. There are the “open” schemes like Discovery health medical aid and Bestmed, and there are restricted medical schemes. Open schemes are available to all people resident in South Africa irrespective of age, health and income. However, restricted medical schemes are not. What are restricted medical schemes? 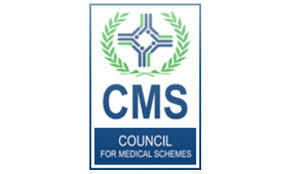 Restricted medical schemes are only available for use by those people for which the scheme is intended. For instance, Pick n Pay medical aid is only available to Pick n Pay employees. GEMS medical aid is another one of these restricted medical schemes and it is only available to Government employees. Many of the larger companies and organisations in South Africa have set up their own restricted medical schemes. In fact there were 63 restricted medical schemes in operation as of 1st January 2015. There were 23 open medical schemes. Which medical aid is best for you? Do some research to find the best scheme for you. Firstly determine what kind of benefits you would like as part of your package. If you are young fit and healthy, it is unlikely that you need to take out one of the more expensive fully comprehensive plan. Should you be getting elderly, or are already on chronic medicines, then you will need a more comprehensive plan. You will also need a plan that will cover the costs of your chronic medication. If you employers run one of the restricted medical schemes find out whether you can opt out and use a different scheme. You may find that your employer’s restricted medical scheme is not the best one for you. It may not give you the benefits that you need, and you may be better off with an open scheme such as Momentum Health. There are some very large medical aid schemes in South Africa such as Discovery medical aid and Liberty medical aid. As they get bigger the larger schemes sometimes take over smaller schemes. In 2010 for instance Medshield and Oxygen medical aid merged to make Medshield the fourth largest scheme at that time. Because a medical aid scheme like Momentum medical aid or Genesis medical aid for example are large, it does not necessarily mean they are best for you. When deciding on which medical scheme to join, first get at least three medical aid quotes. You need to determine not only what your budget can stand, but also which scheme offers the best best medical aid for your circumstances. If you are part of one of these restricted medical schemes, check the cost and benefits it offers with those of one of the open schemes.